Gents & Campari Benelux prolong their strategic & creative collaboration for two of the group’s A-brands: Bulldog Gin and Aperol Spritz. 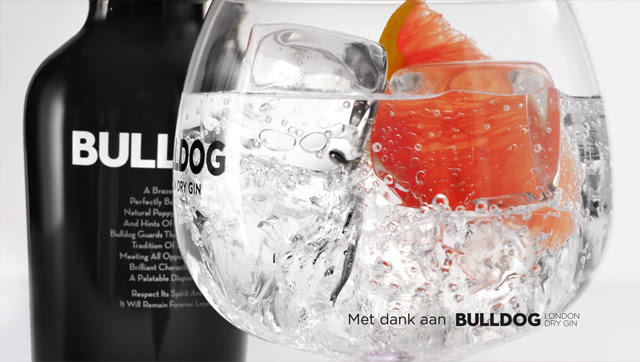 After a successful & slightly provocative guerrilla takeover of Antwerp for the bold gin brand, Gents keeps loading the Bulldog brand in Belgium through disruptive, bold and smart advertising. Once again, the defiant attitude of the brand is translated into a contemporary and visually unique campaign. With a bold black and white personality on outdoor posters and in a TV commercial, Gents visualises the brand’s duality and tagline ‘Smooth on the inside. Bold on the outside.’. The boldness of the bottle intertwines with the smoothness of the drink inside. To kick off the campaign, Gents created a 5” billboard that will feature on Eén and Canvas as of this week.